Illinois is at a constitutional chaos stage. The Governor has vetoed the cost-of-living increases for the state judiciary. The Illinois Supreme Court, by its own order, has directed the state controller to increase their pay effective immediately. The controller refuses because he has no valid legislative or executive mandate to do so. Now, state judges are suing to get their $4,000 pay increase. Their peers, who also will get the average $4,000 wage pop, will be judging the merits of their own pay increase. Does this seem right? Of course not, this is Illinois Politics 101. In a state with a huge budget deficit of approximately $5 billion, and sudden massive increased borrowing to fund the state worker pensions first, there is no real outrage that the judicial branch wants its share of the missing pie....NOW! In a constitutional structure where each branch of government is a co-equal partner, now each is at a loggerhead. The legislature voted in COLAs. 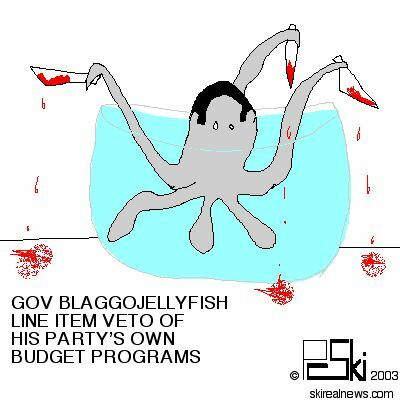 The governor vetoed all COLAs. The supreme court orders the executive branch to pay the COLAs under the constitutional provision that no one can diminish judicial salaries during their term. However, legal scholars debate whether the refusal to increase their set salary with a cost of living increase is actually decreasing their salary. It seems petty with Illinois unemployment spiking toward 7.0 percent that the politicians and state judges are going to spend millions of dollars in a constitutional wrangle over $4,000 per judge who makes more than $100,000 plus office expenses. But this is par for the course. Pols and public employees are getting brazen with their demands for their overshare of the public money. It is no longer a privilege to be in public service, in some of their minds, it is their absolute right to be wealthy and rewarded to the max. Normally, a dispute would wind up in court. But this dispute is about Court salaries. In a suit against state funds, the normal course is to have it heard by the Illinois Court of Claims, a separate executive commission, whose duty is to watch over the claims against the state funds in tort or contract actions. But will the judges concede home (literally) court advantage in the circuit courts? Probably not. 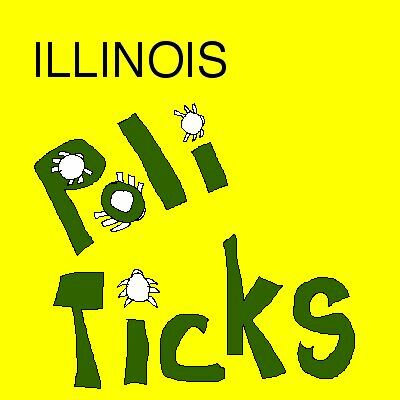 Because this is Illinois politics. One squeezes their advantage like a ripe orange. After the original posting, the Illinois Supreme Court started contempt proceedings to force the cost of living increases. However, two days later, it vacated its own order. The issue is proceeding in the Circuit Court before judges who themselves have a stake in the litigation issue. The final arbitrator of court cases is the Supreme Court. The governor left for a vacation in Burmuda.